On this date in 1953, a crew of robbers held up the Southwest Bank in St. Louis. The robbers didn’t get far with their loot; police officers confronted them as they exited the bank. In the ensuing shootout, a police officer and one of the robbers were injured, and two of the robbers wound up dead (one by his own hand). The story attracted national attention and was made into a movie in 1959 starring Steve McQueen. Officer Mel Stein, who shot and killed one of the robbers, played himself in the movie. Check out this video about the robbery. It includes an interview with Officer Stein. 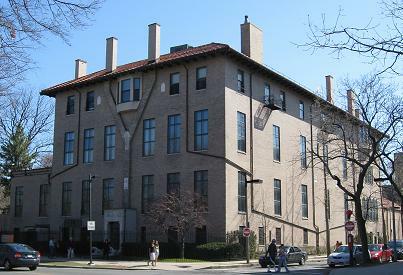 On this date in 1990, the Isabella Stewart Gardner Museum in Boston, MA was robbed. It was just after midnight when two men dressed as police officers appeared at the museum’s door, claiming they had received a report about a disturbance at the museum. One of the two guards on duty that night let them in. Minutes later the guards were overpowered, bound with duct tape, and stashed in separate parts of the museum’s basement. The two bogus cops went to work stealing various items, including works by Rembrandt, Degas, and Manet. The estimated value of their haul: over $300 million. It was the largest art heist in US history. To date, the case remains unsolved, and none of the stolen works of art have been recovered. 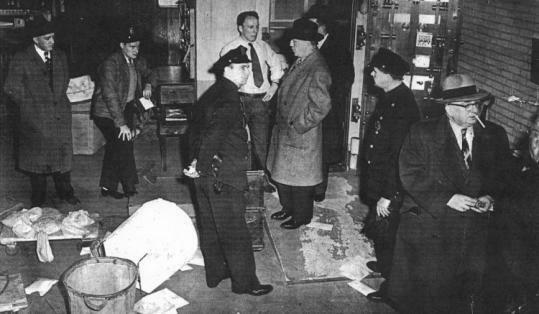 On this date in 1950, the Brinks Armored Car depot in Boston, MA was robbed of over $2.5 million in cash, checks and money orders. It took years for cops to solve the crime, but all eleven of the robbers were eventually arrested and convicted. The robbery inspired a 1978 movie starring Peter Falk. On this date in 1981, members of the Black Liberation Army and several former members of the Weather Underground robbed a Brinks armored car in Nanuet, NY. The robbery resulted in the deaths of a Brink’s guard and two police officers. The incident began when the Brinks truck was making a pick-up at the Nanuet Mall. 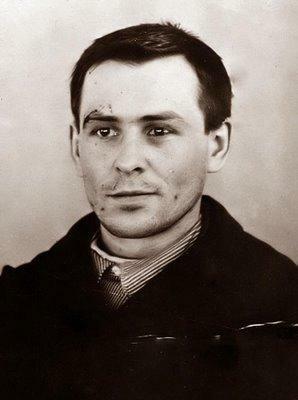 The robbers ambushed the guards, killing guard Peter Paige and wounding his partner, Joe Trombino. Trombino managed to get off one shot before he was hit, but failed to hit any of the robbers. After the attack on the guards, the robbers took $1.6 million and fled the scene in a van. The went to a nearby parking lot where they ditched the van and made their getaway in a car and a U-haul truck that were waiting for them. A college student who lived across the street saw the robbers making the switch and called the police. Police spotted the getaway vehicles at an on-ramp to the New York State Thruway. As they approached the U-Haul, they suspected they may have had the wrong vehicle. The two people in the cab of the truck were white, but all of the robbers were described as black. The driver of the U-Haul, former Weather Underground member Kathy Boudin managed to convince the police that she was innocent. As they lowered their guard, several armed men emerged from the back of the truck and opened fire. Nyack Police Officers Edward O’Grady and Waverly Brown were killed. Officer Brian Lennon was injured. Lennon managed to return fire but wasn’t able to hit any of his attackers. Boudin fled the scene on foot, but was apprehended by an off-duty corrections officer. Former Weather Underground members Samuel Brown, Judith Clark and Chris Dobbs were arrested after they crashed their getaway car while fleeing the shootout scene. Police traced the license plates of the getaway car to an apartment in New Jersey. A search of the apartment yielded weapons, bomb-making materials, and blueprints for NYPD stations in Manhattan. They also found an address in Mt. Vernon, NY, not far from the robbery scene. When they searched that location, they found weapons and some bloody clothes. After running the license plates of cars seen near the Mt. 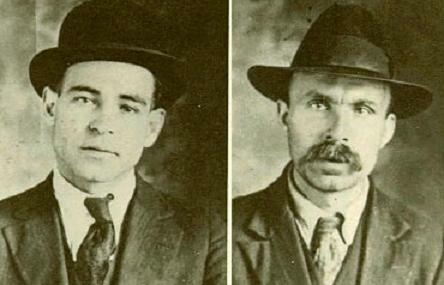 Vernon address, they managed to track down two of the robbers, BLA members Samuel Smith and Sekou Odinga. When NYPD detectives tried to pull the two men over, they crashed while trying to flee. After a shootout with police, Smith was killed, while Odinga was taken into custody. The investigation continued with several more arrests following over the next few years. The last suspect arrested was former Weather Underground member Marilyn Buck, who had rented one of the apartments that the gang had used. It was Buck’s blood that was found on the clothes at the Mt. Vernon apartment. She had apparently shot herself by accident when she tried to draw her gun during the shootout with the Nyack police officers after the robbery. The participants were all tried and convicted. All received lengthy prison sentences. Kathy Boudin was paroled in 2003. Marilyn Buck was released in 2010 and died of cancer shortly afterword.